by Alaska Historical Society, 2001. Digging to America by Oleg Nikishenkov. September 5, 2011, the Moscow News. More rumors about elusive Bering Strait tunnel: Will it ever happen? by Heather Exner-Pirot, September 05, 2011, ALASKA DISPATCH. Aspects of Railroad Technology As Related To A Railroad From Asia To North America Via A Tunnel Under The Bering Strait by Louis Cerny, International Railroad Consultant, as delivered at the August 17-19, 2011 conference on "North-East Russia Infrastructure Integrated Development" in Yakutsk, Russia. City of Yakutsk, Yakutia, Russia. North Eurasian Infrastructure And the Bering Strait Crossing by Rachel Douglas. Based on Memorandum of Understanding between Frank Murkowski, Governor, State of Alaska, and Dennis Fentie, Premier, Yukon Territory, Canada. Presentation (PDF) of Eurasia - North America Rail Link and Bering Strait Tunnel Project on the Conference by Viktor Nikolaevich RAZBEGIN , Deputy Head of Deputy Chairman of the Council for the Study of Productive Forces. Opening of the railway connecting Yakutia with the main Russian railways. SPEECH BY PRESIDENT OF RUSSIA DMITRY MEDVEDEV. November 15, 2011. 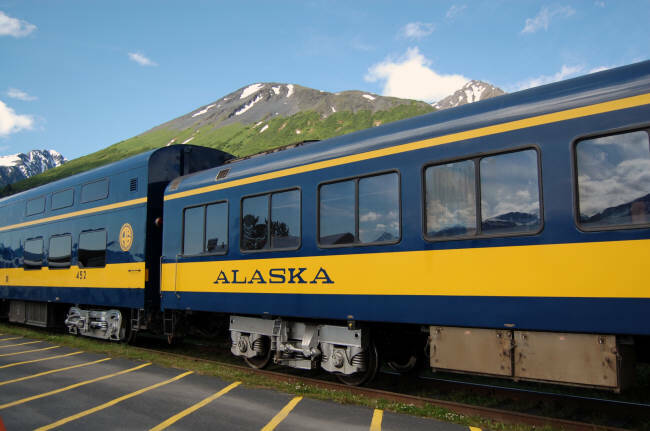 Northern Rail Extension Project by Alaska Railroad: 80 miles from North Pole to Delta Junction. Project news. Tanana River Bridge opens. MAIL ONLINE NEWS, United Kingdom. September 16, 2011, ALL VOICES. 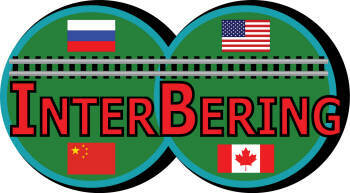 InterBering LLC was formed on October 1, 2013 as the Bering Strait Tunnel investment corporation. A Bering Strait crossing is a hypothetical bridge or tunnel spanning the relatively narrow and shallow Bering Strait between the Chukotka Peninsula in Russia and the Seward Peninsula in the U.S. state of Alaska. In principle, the bridge or tunnel would provide an overland connection linking Asia with North America. Letter in support to railroad developers, G7G of Canada. July 12, 2012. InterBering LLC Certificate of Organization in Alaska, USA. 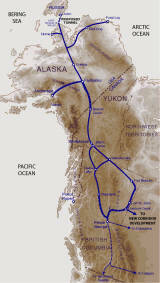 The proposed Bering Tunnel and extention of the railroad to the west, through Alaska's interior and up to the Bering Strait – with the objective of continuing to Russia via the Strait could open vast areas of the State containing mineral deposits, human resources and added tourist attractions, bringing together about a new and exciting phase of Alaska state development. 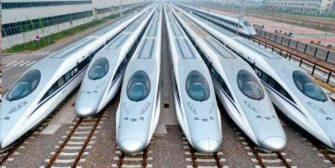 Fyodor Soloview, Head of InterBering, LLC, filed the letter of interest to start construction US-Russian railroad with the Office of Russian President on July 31, 2014. Concept Study on the Electric Power Supply of the Bering Strait Tunnel. By Thomas Scholler, Project Manager with the Energy Department of Swiss Rail (SBB AG). April 12, 2016. In 1867, the U.S. purchased Alaska from Russia for $7.2 million. Today, talk abounds of a bold Russian-led transcontinental railway project linking Siberia with North America under the Bering Strait what could become the world's longest tunnel.